What could be better on a Sunday morning than a hot cup of coffee and a big piece of homemade blackberry sour cream coffee cake. Yeah, we can't think of anything either. So make yourself a batch of this moist, crumbly and deliciously fruity coffee cake. Then sit back and enjoy your day! After a long week, you deserve something special on the weekend. For us, that something special is making a batch of this blackberry sour cream coffee cake. 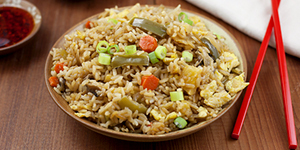 It's moist and crumbly with great fruit flavors. Add in a cup of hot coffee (or maybe even a hot coffee cocktail) and your day is complete. Combine blackberries and water in a small saucepan. Bring to a boil, reduce the heat to low and simmer until the blackberries are tender, about 15 minutes. Add 1/4 cup sugar and cornstarch and stir. Increase the heat to medium and stir until the mixture is thick and bubbly. Remove from heat and set filling aside. In a medium bowl, combine 1-1/2 cups flour, 3/4 cup sugar, baking powder and baking soda. Cut in 1/4 cup of butter using a pastry blender or 2 butter knives until the mixture resembles coarse crumbs. Make a well in the center of the mixture and set aside. In a small bowl, combine egg, sour cream and vanilla extract. Pour the wet mixture into the dry mixture all at once and stir until moistened. The mixture should be lumpy. Spread half of the batter into an ungreased 8 x 8-inch or 9 x 9-inch baking pan. Spread the blackberry mixture over the batter. Drop the remaining batter in small mounds on top of the filling. In another small bowl, mix 1/4 cup flour and 1/4 cup sugar. Cut in the remaining 2 tablespoons of butter until the mixture resembles coarse crumbs. Sprinkle the crumb topping over the coffee cake. Bake in the oven for 40 to 45 minutes, or until the top is golden brown. 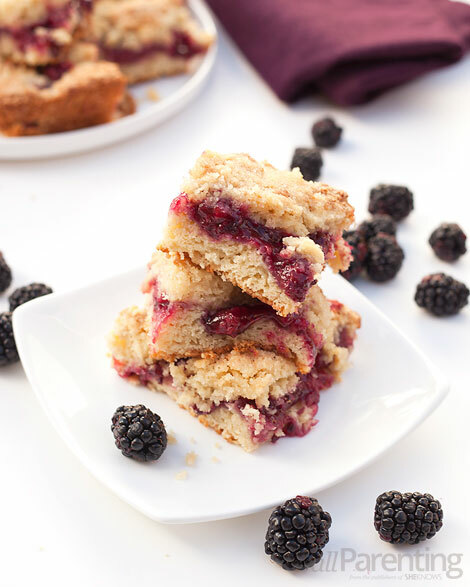 Enjoy your blackberry sour cream coffee cake with a hot cup of coffee or tea in the morning!